Home Lifestyle Fashion Go Distinct or Go Modern! What’s Your Rado Pick? But instead of making this post sound as boring ramblings from an insane girl, I tried to make it a bit more useful for you. Read on if you have been familiar to this brand and have been looking forward to pick up a watch for yourself. This post can help you find the right “Rado Pick” for yourself. Why picking the right watch is important? The right watch says a lot about its wearer, as any horological enthusiast knows well. Every watchmaker and every brand has its fans, and every level of style and taste has the perfect watch to match. The best watchmakers tailor their pieces to be as unique and varied their wearers. So, if you end up making the wrong pick, the whole effort and passion behind this things goes waste. If there’s one thing that sets Rado apart from its fellow watchmakers, it’s innovation. While there’s always value to be found in appreciating tradition and history, Rado’s designs and engineering have focused on looking forward, ever since they introduced the first ever scratch-proof watch in 1967. 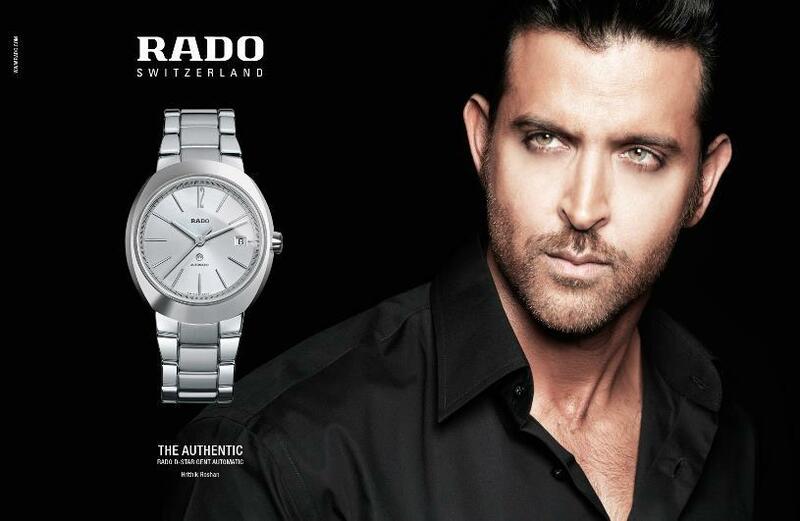 So, it is important to go for the right Rado pick according to your style. What’s your style: distinctive and daring, or polished and modern? 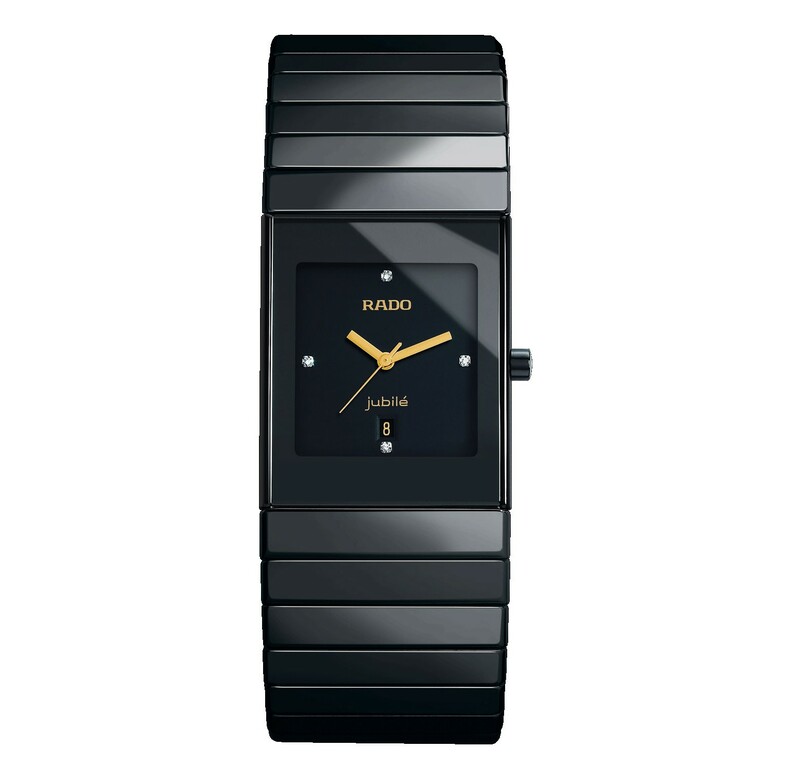 Try these collections to find your Rado pick. Since the neon heyday of the 1990’s, modern fashion has trended ever more sleek, polished, and conservative. The modern man and woman in 2015 favors clean lines and muted colors: blacks, grays, and blues, with understated metallic highlights. Gone are the days of peacocking: dressing modern is all about quality and substance over style and flash. You don’t need to advertise if the quality of your clothing and the intelligence of your choices speak for themselves. Ceramica and Integral. These two lines from Rado exemplify modern style. Ceramica is Rado’s flagship, and it pioneered the famous high-tech ceramic bracelet and casing that have come to represent the brand. It’s represented by smooth lines: a square face perfectly in line with the bracelet, and a sleek, minimalistic face lacking numerals or ostentatious movements. If you’d like a bit of subtle flash, try a variation with quartz caliber, or the Chronograph line with subtle, elegant movements. Integral is a versatile twist on the classics, with a range of variations to suit your specific preferences. 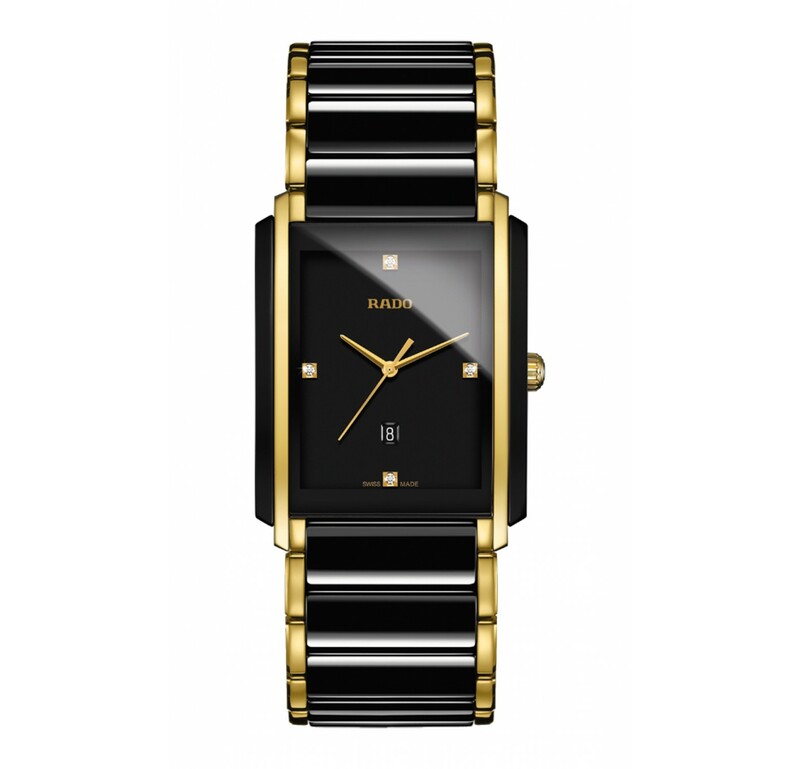 The Jubile variation adds a jewelry feel, with gold or copper highlights to brighten up Rado’s classic black look. The bracelet and case are a blend of metal and black ceramic, smooth, elegant and understated: the perfect watch for a stylish suit or a classic textured sweater. It doesn’t take much to punch up a classic look, if you’re the type who likes to make an impression. Brighten up the colors, mix and match textures and cuts…or pair a classic outfit with a distinctive statement piece, like a unique watch. The key to this style is to make your unique mark without resorting to flash or attention grabbing. Just like the modern look, you want to select for a level of quality that will speak for itself, matched up with just the right twist to speak to your personality and style. Sintra and Coupole. 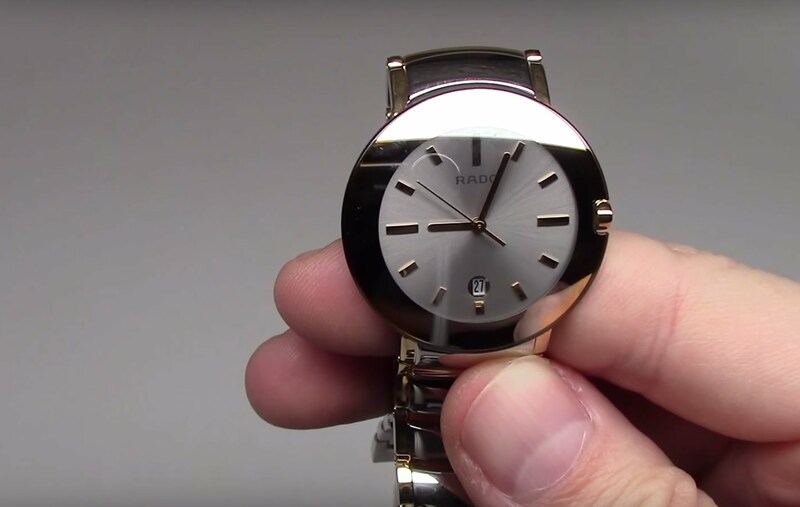 Both these lines introduce their own twist to the classic Rado look. Sintra’s defining feature is the interesting and eye-catching domed face, which brings a new dimension to the line’s signature streamlined look. The band has its own elegant dimension, wide at the face and narrowing towards the class, carrying the rounded shape of the case and face throughout the piece. Sintra also offers a range of variations on the minimalistic black, with gold, platinum, and white-faced options. If your style incorporates interesting shapes and textures to add dimension to the classics, Sintra is a perfect fit for your look. The Coupole line is forward looking and futuristic, inspired by the steampunk and scientific aesthetic. It moves away from Rado’s usual minimalism to incorporate more complex movements and mechanisms (Swiss Quartz, of course). This line’s look hits an interesting blend, futuristic and antique at the same time. If you like updated vintage, try adding a Coupole piece to your wardrobe. Love Coupole? Try finding your pick form a wide collection of Rado Watches at Ethos because you won’t find a Coupole on any other online store in India. Whether you prefer distinct or modern, Rado’s unique collections have a piece to match your style. I would recommend that you take time to familiarize yourself with the wide range of additions and variations, like the Jubile and Chronograph styles available for each collection.